How much more effective would companies be if all the content they created for the Web reached its specific target audience? 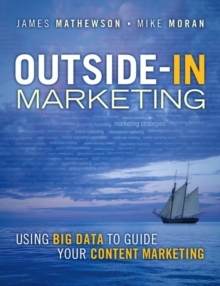 In this book, three pioneering IBM content and search experts show how to get closer to this goal than ever before. Readers will discover how to write highly relevant content containing the keywords and long-tail phrases their targeted users actually use. By doing so, they will learn how to go beyond merely "maximising" traffic to actually delivering the right content to the right visitors at the right time. They will even learn how to prove the relevancy of their Web content. 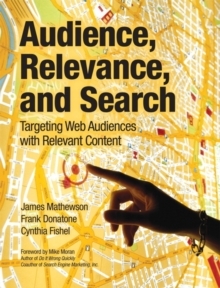 More than any other book, Audience, Relevance, and Search is relentlessly focused on the search and content optimisation problems that Web professionals face right now. Drawing on 45+ years of collective experience in Web publishing and search effectiveness, the authors share powerful insights into these and other crucial challenges:What's the best way to optimize keywords and other content for Google'snewest PageRank algorithm?How can personally relevant content be developed for the widely diverse Webaudiences that visit large sites?How can users be steered to content that's relevant to them and away fromcontent that isn't?Can content be aligned to users' roles, or where they stand in the purchasingcycle?How can analytical tools and dashboards be used to determine which contentis relevant to their audiences, and how relevant it is?